It's that time of the year! 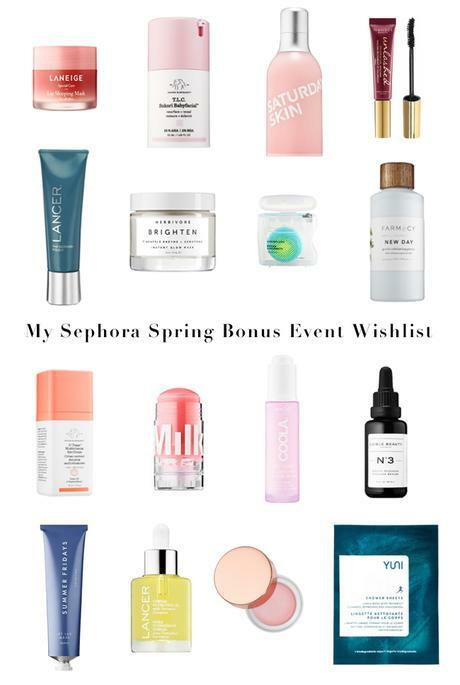 Sephora's Spring Bonus Event aka VIB Sale is happening! A perk of the Sephora Beauty Insider rewards program, this sale grants members a discount of 10 - 15% off almost everything depending on your level of membership. Many people use these sales to stock up on their favorite beauty essentials and/or splurging on items they've been eyeing for awhile. The Sephora Beauty Insider Rewards Program is free to join and totally worth it. The top tier is VIB Rouge, for customers who spend $1,000 a year. The next level is VIB, for customers who spend $350 a year. The Beauty Insider tier has no spend minimum and is for anyone in the program. Gift cards, eGiftcards, FLASH and PLAY! by Sephora, packaging, taxes and shipping are excluded from the promotion as are products from The Ordinary. But almost everything else is eligible including many luxury brands that don't usually go on sale. Online and in-store shoppers are limited to one Dyson product and three Drunk Elephant products per purchase. Don't forget to take a look at the "Sephora Favorites" which are value sets featuring makeup and skin and hair care products from a variety of brands. They're usually a pretty good value and the sale prices are even better. These make great gifts! I'm actually proud to say that I didn't reach VIB status (and just barely) until the very end of last year since I was dedicated to working down my stash and cutting down on unnecessary spending/wasting money. I'm now at the point where my stash is manageable and I need to restock some items so I will be shopping this sale. To maintain focus and stay organized, I put together a wishlist which I've divided into repurchases and new products I'm coveting. I'm not sure how much I'll end up buying but it's a safe bet it'll be less rather than more.